I woke up at 1:33 today after getting in around 8am this morning, coming off the night shift is hard too say the least. It was a very busy night so I was on my feet pretty much the whole time. By 7am I was ready to go and by 8 am I was in bed. I still feel like I could sleep another couple of hours, I just might do that. I work again tonight and then Sunday night. Off Monday but back in on my day off for in service training, yet another 12 hour shift. Needless to say I am working quite a bit and the summer seems to be flying by. I want to get out to Ocracoke one of these days and hang out on the beach and enjoy the scenery but it’s hard to plan for that right now. My best friend of 4 years is leaving soon so I need to get up with her before she heads out on a new adventure. 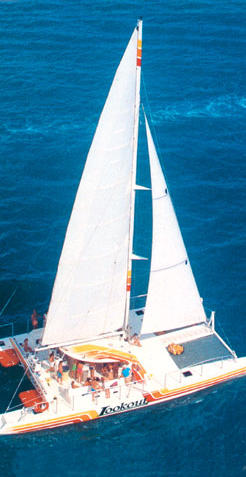 So I think we are going to go on the Cape Lookout Cruise, that sails out of Beaufort sometime next weekend. It should be awesome and I can’t wait. Should be a fun weekend non the less. I’m hoping to get back down to Wilmington also, love it down there. It has a uniqueness all to its own, and of course with the right company is even better. So here is to next weekend, and hopefully I make it that far. Girls are doing good, they are staying busy with their dad and are due back home on August 20th. Hopefully they make it back in time for orientation and all that extra school stuff. I’m sure they are ready to go back very soon.. 🙂 I do miss them, but them being gone gives me some much-needed me time. It’s hard to get out and about with my crazy work schedule but, in order to play hard you have to work hard as well. My life seems to be perking up and I look forward to what the future might hold. Not sure on where it is going to take me but I’m willing to give it a try and put every effort into making anything work. That includes my personal life as well, which is a work in progress right now. LOL. But like I said, EVERY EFFORT to make it work. This entry was posted in This Life of Mine, Weekend Getaways and tagged Beaufort NC, Cape Lookout Cruise, Friendship, Life, Love, Wilmington NC.